Losing a job can disrupt your daily life. It affects your career, finances, personal relationships, self image and confidence. Unemployment does not discriminate against the different class levels and can be experienced at any stage of your life. Look after your health. Losing a job is one of the hardest experiences you will deal with in your career. Most people who have gone through this experience find it impacts their confidence and self esteem in the workplace. Take the time to deal with the situation and reach out to your family and friends to express how you feel. The silver lining in this situation is that now you have a greater opportunity to find a role that will best suit your ambitions and goals. It’s important to remember that a job loss can lead to a better chapter in your life. The immediate reactions. Be aware of the immediate changes that may affect you. You will find particularly where it is an unexpected job loss, the immediate step to maintaining security would be to reduce spending and being more careful with your expenses. This can be a hard and frustrating process for you as well as your family. Stay positive and remind yourself that this is a short to medium term solution.However it is important to plan and understand your cash flow and have a budget in place that you and your family can live with. Even though losing a job can be a hindrance to your finances, some simple planning around your spending and savings will ensure it doesn’t lead to a financially crippling event. Have a plan. Once you have done some soul searching about the job loss and where you are in your life, think about what you’d like to achieve from your professional life and put a plan together to achieve it. Be sure to keep a routine and continue to stay focused on the positives. Even though you don’t head out to work every day, have a plan each day to dedicate time to work related activities such as getting your resume updated and searching for new roles. It’s important to have work related activities in your daily routine so when the time comes to get back in to work you’ll be able to make a seamless transition from being unemployed to employed again. Take a minute to reflect. You’re probably going to experience an entire host of emotions through this experience and it can be overwhelming. Take a minute and do something just for yourself. You may not know what lies ahead of you but use this as an opportunity to take charge and control of the course of your career. Starting the search. Starting to search for a role can be a little bit like dating again just after a relationship, especially if you were in your last role for a long period of time. Keep your search going and make a proactive effort. Keep an updated and current resume, network and learn new skills that might provide you with a unique strength in your area of expertise or interest. Severance package. The majority of employers offer a severance package to their employees when making their roles redundant or retrenched. A severance package may include, notice of termination or payment in lieu of the notice, wages for hours worked, payment for accrued annual leave and any accrued long service entitlements. If you are not familiar with matters such as the taxation treatments of the payment, be sure to seek professional advice to achieve the optimum outcome with the monies you receive. Job Watch is an independent, not for profit, employment rights legal centre. It provides free confidential telephone information and referral service and other assistance to Victorian workers. Australian Workplace provides job seekers, employees and employers with information about finding a job, starting work and workplace issues. First30days is a site that assist individuals with life changes with hints and tools to get you through the first thirty days of different life changes. Working Today is a dedicated site to assist you with queries or problem about work. Seek is a career advertiser who also provide resources around resumes, interviews and even salary packages, hosting a large amount of tips/tools for career planning. 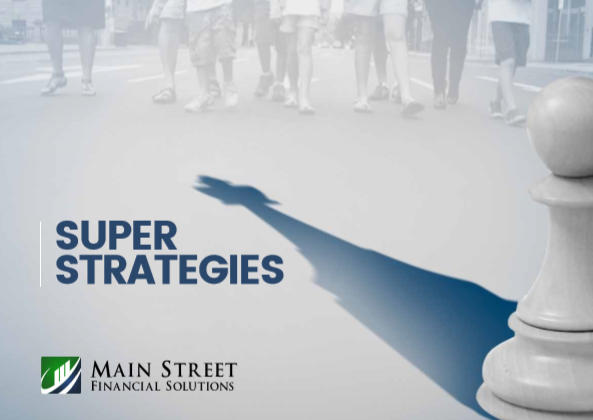 Call us on for an appointment to discuss how we can work towards your financial and lifestyle needs during this important stage in your life. In recent times, divorce and separation have affected many people in our community. Based on recent figures, one in three first marriages end in divorce with divorced persons in Australia increasing by 63% between 1990 and 2000*. This is clear evidence of the ongoing transitions people experience in their relationships. Divorce can be stressful emotionally and financially. It is important that you consider the financial implications and prepare for the entire process. Don’t work through it alone. Divorce is a huge decision and will certainly change your life, your spouse’s and the lives of any children involved. Consult a professional mediator such a family dispute resolutions practitioner and/or an attorney to help you through the proceedings. Most importantly, be sure to have a support network around you. This will be a tough and challenging time and you will need the support of your friends, family and perhaps support groups and professionals who are familiar with what you are going through in this difficult situation. Prepare yourself emotionally. When going through the process you may go through a range of emotions. This is normal in such a significant transition in life so, be prepared to work through these emotions and reach out for support to help you through this time. The reality of being alone can be awfully scary and lonely, especially if you have been with your spouse for many years or if you are stepping into single parenthood for the first time. Confronting reality is a big task so, prepare yourself emotionally. Understand the financial implications. Consider how you will support yourself and your children after the divorce. Decide how you will manage the expenses of the divorce process. Through the mediation discussions, filing fees to the federal magistrates, court appearances and lawyers’ fees, expenses will add up quickly.Knowing and understanding the costs and implications ahead will reduce unexpected surprises. Taking care of your children. In the divorce process, children can suffer as much if not more emotional turmoil as the parents. Custody is tough conversation and process that you will experience. Write down a parenting plan that both you and your spouse agree to avoid disputes and arguments in the future. Get legal advice. Divorce is a legal termination of marriage and requires the family law courts to grant a divorce order for it to become final. There are requirements you must meet in order to be granted this order, so be sure to seek legal advice before deciding what you want to do. Once the marriage has been legally ended by the court, you will also need to determine the division of assets and custody of children where you may require further legal proceedings. These proceedings may be contentious and its advisable to seek the help of a mediator or lawyer in order to arrive at an agreement in a timely manner. The Family Law Courts of Australia provides guidance and information on legal issues around separation, when, where and how to get a divorce, taking you through a basic step by step divorce guide. Relationships Australia provides you with a multitude of tools to manage and deal with separation as well as, how to work at it if were looking to reconcile your marriage. I-dont is a directory of service providers to help you through this challenging times. Dads in distress (DIDS) is a support community group to assist Dads who have gone through divorce. Call us on 61730070 for an appointment to discuss how we can work towards your financial and lifestyle needs during this important stage in your life. The world has changed immeasurably in the past 30 years. The next three decades seem likely to yield even more drama as significant themes exert their influence on a more connected world. Change is upon us. Investors must either embrace change or risk missing out on some of the biggest investment themes in a generation. But what are the investment implications? This article discusses how investors can position themselves. Remember, though, that making predictions is fraught. It is virtual guesswork to say what level the Dow Jones Industrial Average will be in five years time. However, when it comes to the big, secular themes that are influencing economies and financial markets, there is more scope to be forthright and more reason for investors to take action. Most of the themes that appear set to be prominent in the 21st century – the rise of the east, growing consumption and urbanisation in emerging markets, the changing demographics and ageing of the world population, the challenge of feeding and powering the world, technological and climate change, the rise of Africa – are visible and investible, or will be soon enough. Attaching relative weights to a group of highly interconnected themes is tricky, however. Intuitively, the epochal power-shift from west to east and the emergence of China and India must surely be given most weight. It is the underlying dominant theme which recurs, or acts as a catalyst, in many of the others. Beyond this, it becomes more difficult to attach weightings. Is finding a solution to our energy needs more important than alleviating pressure over food and water? In truth, they are related, not least because bio-fuels are reducing the amount of arable land for food. water, providing incremental advances and occasional step-changes that sum over time to extraordinary technological progress. It is technological progress that powers economic growth over the very long run. 1. Invest more in emerging markets, beware of home bias. Investors need to ensure they have enough exposure to emerging markets but many remain under-invested for two reasons. First, although allocations have picked up from negligible levels, they still do not reflect the significant and growing share of global GDP attributable to these economies. The other is that investors tend to be over-exposed to their home markets. 2. Take a long term view. Investors must step back from the occasional hyperbole that crops up about emerging market bubbles and remember that the long term outlook is compelling. There will be blips, on an upward sloping curve, but they should not stop investors. Remember that industrialising economies such as China can sustain much faster annual growth rates as they are emerging from a low base. 3. Include frontier markets such as those in Africa. Incredible as the growth of China is, don’t just bet on one emerging country. An allocation to emerging markets should include a range of economies at various stages of development. If you have China covered, then consider frontier markets in sub-Saharan Africa, for example, which have vast mineral wealth and huge consumption potential. Or Indonesia, Nigeria, Mexico, and Turkey. These countries have large populations and fast growing economies and are mooted as next big things. 4. Invest in real assets. Some economists argue that we are entering an inflationary age. Moderate inflation is not bad for equity markets. But, some doom mongers are predicting a worse outcome due to the alleged inflationary effects of central bank asset buying programs combined with higher commodity prices (particularly food and energy). It seems sensible for investors to include inflation protection, such as inflation linked bonds, in their portfolios. However, other economists are more sanguine, given spare capacity in western economies. Meanwhile, emerging economies are in the midst of an urbanising age; one that requires infrastructure build and raw materials. An optimal strategy, therefore, may be to remain in equities but tilt the bias of investments towards real assets whose prices rise with inflation. By investing in companies that have pricing power such as miners of industrial and precious metals, investors can participate in corporate growth and generally beat inflation. Given constraints on supply, these companies tend to benefit disproportionately from higher global growth. 5. Remember to add food and water. Fertiliser and agricultural companies stand to benefit from growing demand for food and changing diets in developing countries. Similarly, companies that build desalination and water management infrastructure and that can provide access to clean water should have full order books as demand for water intensifies across the world. 6. Consider consumption. As emerging economies grow and become wealthier, the global middle class will expand rapidly and consumption will soar, particularly in the discretionary segment where branding is key. Beneficiaries will be based in western and emerging markets. 7. Do not ignore pharmaceuticals. Pharmaceuticals have been overlooked even though their industry outlook appears bright. A massive expansion in middle class consumer populations in emerging markets, combined with people living longer, particularly in developed economies, paints a rosy picture for global healthcare spending. There is scope for the best generic and branded names to benefit. Important information Investments in small and emerging markets can be more volatile than in more developed markets. Investments in overseas markets can be affected by currency exchange and this may affect the value of your investment. 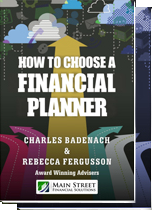 Always speak with your financial planner when making investment decisions.